Really having fun with this, add someTuna Knobs and you have a portable synth/controller in one. If you can deals with virtual keys. MUSIC PRODUCTION APP for iPhoneDeveloped in partnership with Retronyms www.retronyms.comTurn your iPhone into an MPC. With more than 1,200 samples, 50 editable programs, 80 editable sequences, and iconic MPC workflow, iMPC is the first app to bring the look and feel of the classic Akai Pro MPC to your iPhone. iMPC includes everything you need to create a beat quickly and easily, including built-in effects, plus the ability to create new sequences and record and overdub beats. Time correction from 1/8 note to 1/32T with variable swing, and Note Repeat from 1/8 note to 1/32T with latch control are also built in. The apps built-in sampler can record samples three different ways: using the mic on the iPhone, using the line input on the iPhone, or using the multi-touch turntable interface in iMPC to record samples directly from iTunes or other music libraries. ReBirth for iPad is 10 bucks off - 4.99! If we're talking about iOS, check out Korg's MS-20 and Electribe clones, the VCS3 clone and Peter Vogel's Fairlight CMI clone. Basically, the reason why most of the music app is mostly on iOS is because Android has always had latency issues with sound synthesis. Looks like the new Android L API has a lot of audio improvements. check it out, it's a pretty awesome lo-fi sampler. it also has deep support for the Elektron Analog Rytm drum machine. It's the most IDM app on the planet. ReBirth for iPad is also on sale, 3.00 USD! I love Korg's GADGET but have you tried Korg's MODULE? Haven't bought it yet. Korg DSN-12 for the Nintendo 3DS is currently on sale for 50% off. $19 in the US, not sure what it is in other regions. I've had it for a few weeks now, and it's a lot of fun! No way to export tracks though, so you'll need to record from the headphone jack. Any suggestions for iPhone-compatible apps? Most of these are iPad only. I'm really enjoying the GarageBand app in conjunction with amplitube and ampkit, Propellerheads Figure is great as well. The AUFX processing apps look really good and will likely be my next purchase, but I'm interested in synth solutions with inter-app/audiobus support. Any experience with the mastering apps out there? Since I don't think it's been mentioned yet. For Android you have most notably Caustic 3 and FL Mobile Studio. Caustic 3 is the better of the two. That said there is a bit of audio lag. It honestly isn't a big deal, but I only used these apps to get down midi/ melody/ drum ideas so it's no biggie to me. Though I've been thinking of picking up ds-10 or the Korg m01d for my Nintendo 3DS. Anyone have any experience with these? Edited by Brisbot, 11 August 2015 - 11:24 PM. I'm sure many of you know this one, but I think it greatly deserves its own post in this thread. Considering how self-contained and cross-platform it is, you can easily share tracks across devices, so I find it pretty much ideal as a mobile music-making app. Flexible architecture: SunVox can working on variuos devices. For example: pocket computer with slow CPU - 13bit sound (fixed point arithmetic); or big PC with powerfull CPU: 32bit sound (floating point arithmetic). MIDI IN/OUT (except PalmOS and Windows Mobile). Real-time recording of any types of sound events (notes, Touch Theremin, controllers). iOS version is compatible with iRig Mic. It's incredibly cool, definitely the most interesting of these on the go music softs. Unfortunately I found it very cumbersome to work with, my fingers are either gigantic sausages, or there's just too much stuff crammed in there for it to flow nicely on a smartphone. 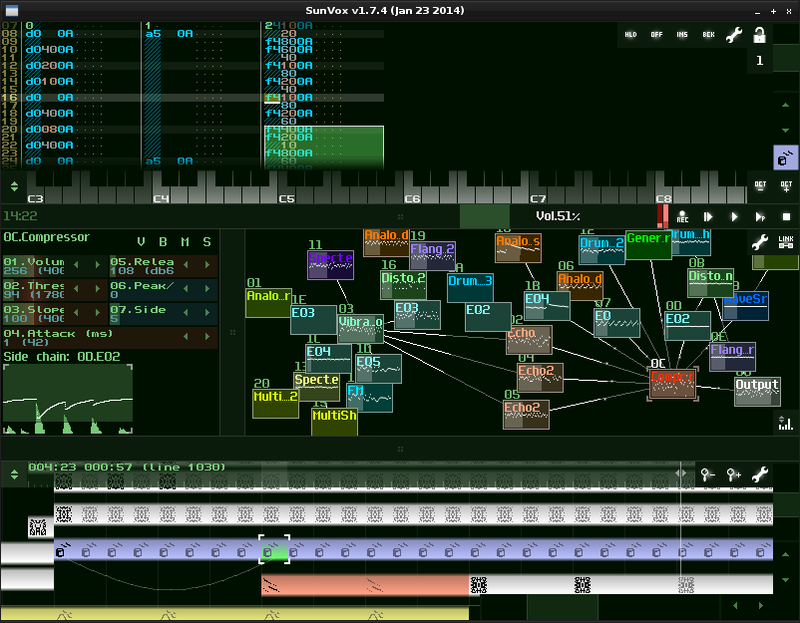 Yeah sunvox is awesome but the interface is atrocious and frustrating on a touchscreen. It's still great on a laptop or desktop. Anything with a mouse. Yeah, this, and the Android version has terrible latency at least on my phone. I think that's the OS's fault, though, and it might not be so bad on newer versions. It's definitely not the most elegant tool. I think something simpler that lets you build complexity incrementally would be better on mobile. For example I'm loving LGPT on PSP, although I think by "app" you mean iOS or Android. Edited by sweepstakes, 25 December 2015 - 12:02 AM. For those of you with a Nintendo3DS the Korg DSN-12 is 50% off at the moment. It does stuff like this, but you don't have to make dubstep innit. Edit 2. Oh, that was last year. Not even sorry anymore.  Edited by Gocab, 28 December 2015 - 02:50 AM.